Main Meal Worthy: Red pepper jelly is sweeter than spicy and makes for an umami-packed marinade and dressing for a hearty salad that will not disappoint. In a small bowl, whisk together red pepper jelly, ¼ cup oil, Worcestershire, garlic, sage, salt and pepper. Place steak in gallon size zip top bag and pour marinade over top. Zip bag closed, removing most of air, and place in refrigerator to marinate. 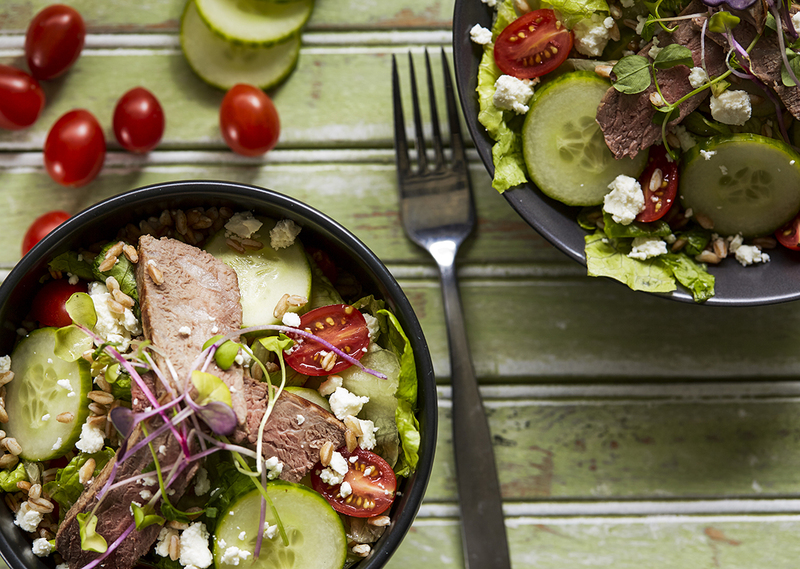 Meanwhile, in a large bowl, toss together farro, lettuce, tomatoes, cucumber and feta. Cover and place in refrigerator. Remove steaks (don’t discard marinade) and place on preheated grill (don’t place lid on the grill if using Indoor/Outdoor). Grill steaks for 1 ½ minutes. Move to a large cutting board and allow to rest for about 5 minutes. Note: If grilling on Indoor/Outdoor grill, grill for 1 ½ minutes per side. Meanwhile, in a small saucepan, add marinade and remaining 2 Tbsp. oil and bring to boil over medium-high heat. Whisk for about 2-3 minutes until sauce thickens. Slice steaks, against grain, about ¼” thick. 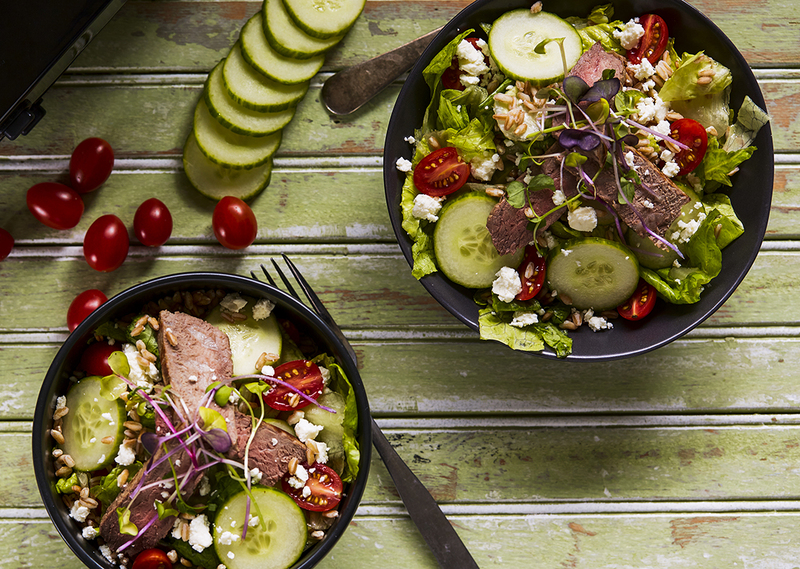 Lay steak over top of salad and serve with marinade dressing.